Blow molding is the most cost-effective manufacturing process for the production of hollow parts in high volumes. Many people think the process is limited to more standard water bottles or containers, but as you can see below, it can accommodate product designs with seemingly impossible part geometries. 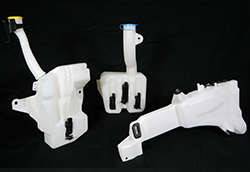 Regency Plastics specializes in manufacturing engineered blow molded products for a variety of industries including OEM and Tier-1 automotive, lawn and garden, industrial, and medical. Leveraging our knowledge of material and molding process selection allows us to optimize part design, drive cost out of products, and reduce lead-times on highly technical molded products. 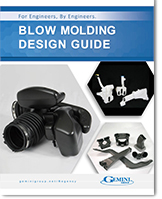 Here are the major categories of our custom blow molded parts. To explore a category further, simply click “See More” button. 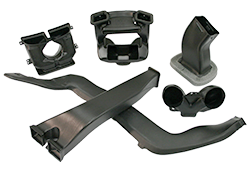 Regency’s technical blow molding processes allow air intake ducts, resonators, tuners, and injection molded plastic cuffs to be integrated into a one-piece assembly – something other blow molding suppliers often shy away from. 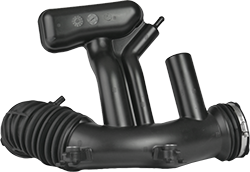 Blow molding is an excellent alternative for parts traditionally created via roto-molding – including DEF (diesel exhaust fluid) tanks. This allows for mass production with a shorter cycle time, lighter part weight, and lower costs. 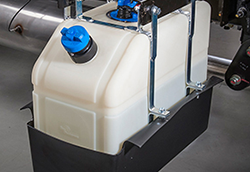 Regency Plastics has the engineering expertise to help your company develop or refine your blow molded fluid reservoir product design in order to optimize part performance while driving cost out. 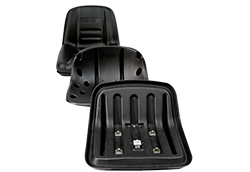 The same high standards required from the automotive industry go into every one of our technical molded products. These include diesel fuel tanks, fluid reservoirs, ducts, and structural components. Over 60% of our plastic blow molded products are used in the lawn and garden industry. Products include fuel and oil tanks, fluid reservoirs, tubes, plastic ducts, sleeves, cases, and seating products. 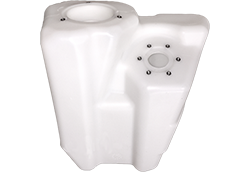 Our experience in blow molding HVAC ducts tells us the best way to drive cost out is by optimizing the product design so wall thickness can be minimized. This lowers the finished part price by reducing material cost and speeding up the blow molding cycle time. 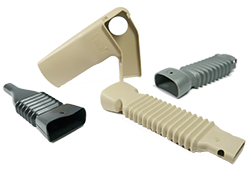 Whether you need a color matched PVC or a soft touch TPO seatbelt boot, Regency has the experience to assist you in material selection for your custom plastic parts. We specialize in blow molding Class A, grained surfaces in over 35 colors. 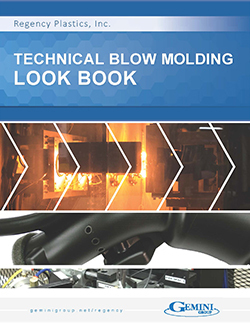 If you’re not sure what you’re looking for, or just want a better idea of what blow molding can accomplish, download our Blow Molding Look Book. It contains high-resolution photos of technical blow molded products you can analyze and compare to your existing concept or design.